As teachers across the country prepare to return two classic works to their classrooms with the help of Mark Twain’s Adventures of Tom Sawyer and Huckleberry Finn: The NewSouth Edition, book editor Alan Gribben has released a series of online videos and podcasts intended to guide educators in presenting these books. Dr. Gribben, a nationally-recognized Twain scholar, released the NewSouth Edition of Twain’s books when he discovered that schools were commonly and quietly dropping the books from their reading lists due to concerns over the content. Gribben’s NewSouth Edition reunites Tom Sawyer and Huckleberry Finn in one volume as Mark Twain originally intended, and replaces the racial epithets in the book in a consistent manner so as to eliminate some of the controversy that keeps schools from assigning the works. In a thorough introduction to the volume, Gribben details his changes, the context of the racial epithets Twain used in the books, and the historic debate over using Tom Sawyer and Huckleberry Finn in schools. The six videos available on YouTube are “Tom Sawyer and Huck Finn as Companion Works,” “Three Criticisms Leveled at Huck Finn,” “Teaching Advantages of Mark Twain: The NewSouth Edition,” “Eliminating the Controversy, Preserving Twain’s Messages,” “Why Mark Twain Used Racial Epithets in his Books,” and About Mark Twain and the N-Word Debate.” The videos can be watched separately, or used as a series to help create curriculum around Mark Twain: The NewSouth Edition. View the Mark Twain: The NewSouth Edition video playlist on YouTube, or download the videos and four additional audio podcasts from iTunes. Mark Twain’s Adventures of Tom Sawyer and Huckleberry Finn: The NewSouth Edition is available from NewSouth Books, Amazon, or your favorite local or online book retailer. Valerie Gribben’s recent New York Times op-ed, “Practicing Medicine Can Be Grimm Work,” has received lovely responses from across the country. In their Letters section, under the heading “When ‘ER’ Met ‘Hansel and Gretel,” the New York Times has published some of those responses. Gribben is a medical student and the author of The Fairytale Trilogy, a collection of three young adult fantasy novels including one that Gribben published at just sixteen-years-old. Her New York Times op-ed discussed how her love of fairytales has brought her greater understanding of her patients. “Valerie Gribben’s well-written article is insightful and true: a sense for stories helps sensitize future physicians and enables them to greater imagine the world of others,” writes Geoff Rubin, a fourth-year medical student at Columbia University. Other letters came from Margaret Parker of Ann Arbor, Michigan, and periodontist Bill Lavine of West Hartford, Connecticut. Read all the responses at the New York Times website. 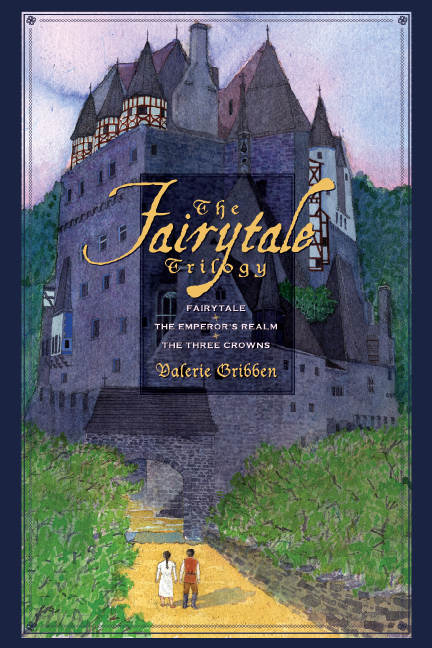 Valerie Gribben’s The Fairytale Trilogy is available from NewSouth Books, Amazon.com, or your favorite retail or online bookseller. Renowned civil rights lawyer Solomon Seay Jr. talks with Stetson University law professor Bob Bickel about Seay’s personal and professional struggles for equality, including discussion of his well-received memoir Jim Crow and Me, in a new online documentary as a part of Stetson University College of Law’s Oral History Project (registration required to view videos). As one of only three African American lawyers in Montgomery, AL, in the late 1950s, Seay braved the Ku Klux Klan, Jim Crow laws, and the state of Alabama’s entrenched racism in order to desegregate public schools and facilities, to protect Freedom Riders and voting rights activists, and to ensure equal justice under the law to African American citizens. During his legal career across the state of Alabama, Seay focused primarily on civil rights cases, including race-based and gender-based employment discrimination, access to public accommodations, and police brutality. That, really, is my biggest interest as it relates to Jim Crow and Me. That is getting something to our young folks, especially the young lawyers so that they will have some notion, at least, of where the black lawyer has come from. And a better understanding of where he has to go and, perhaps, a greater knowledge of how to get there. When I first came to Montgomery to practice law in Alabama, there were two black lawyers here: Fred Gray, who was perhaps the best-known civil rights lawyer in the country, and Charlie Langford. But both of them had only been here a year or so. I started a solo practice, and, of course, there were a lot of things I just didn’t know about the practice in Alabama. And Fred and Charles didn’t know much more about Alabama practice than I at the time. And whenever I ran into a situation that was just foreign to me, I would stop and think about who in this area is an expert in this field and I’d give them a call … There was a never a single time that a white lawyer whom I called turned me down. Not one time, but, at the end of the conversations, there was always the caveat: “But now, nobody needs to know that I helped you with this.” But I was never turned down. I was really taken by surprise by the inauguration of [President Barack] Obama … after the ceremony … I was shocked and dismayed at the number of folks, black and white, who said that the inauguration of Barack Obama was the culmination of the dream of Martin Luther King. And if we have the audacity to believe than, then we have problems … because that does not signify a post-race society. And even though [civil rights lawyers of the ’50s and ’60s] had gotten together and pretty much buried Jim Crow, bigotry, at that time, arose like the Phoenix from the ashes, and yet more sinister … and more subtle and more difficult … to attack … And even though [the civil rights lawyers] were successful in really doing away with all of the Jim Crow laws, we’ve not reached a post-race society, and … you still experience it everyday. You can access all the videos at Stetson University College of Law’s Oral History Project. 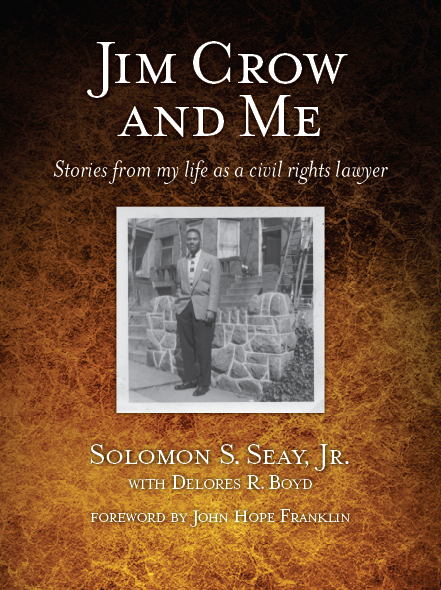 Jim Crow and Me: Stories from My Life as a Civil Rights Lawyer is available from NewSouth Books, Amazon.com, or your favorite online or local bookseller. You are currently browsing the NewSouth Books weblog archives for July, 2011.